The double bedroom that you can choose for your holiday in Santa Maria di Leuca called "De Finibus Terrae" is composed of one double bed and one bathroom with shower cabin and hiardryer. There is also an outside access equipped with beach chair and table. 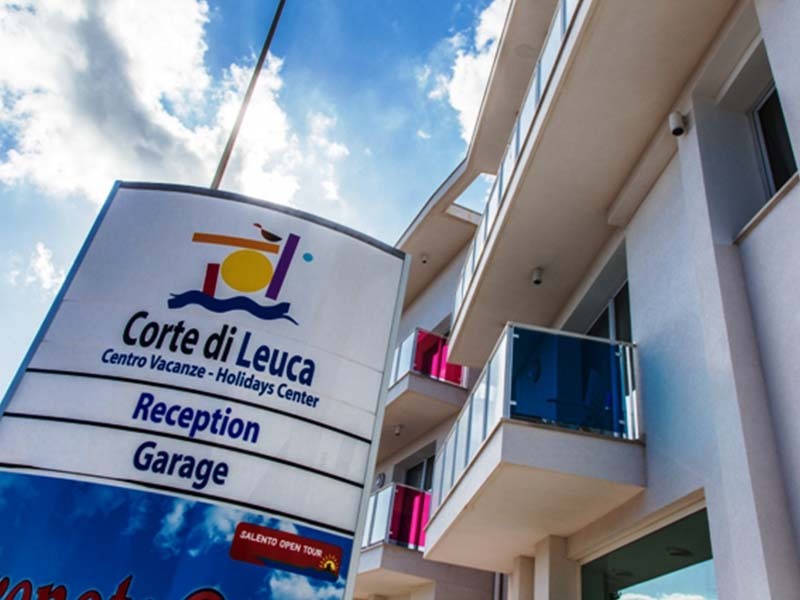 Corte di Leuca, a modern and fine holiday centre newly built, located in the centre only 200 metres far from the SML’s seafront.